Clicking on thumbnails will display the full photograph. All photos taken by the author unless otherwise indicated. Because this site is relatively new, photographs are not categorized or sorted. 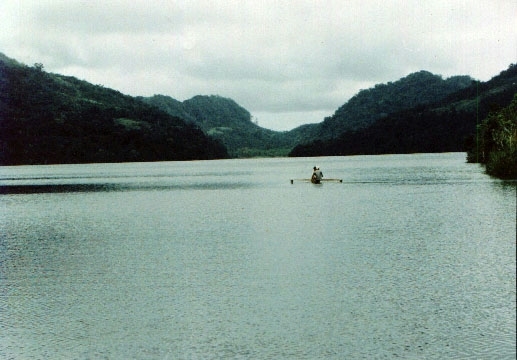 Photos were scanned at 75 dpi. Absolutely no manipulation, digital or otherwise, were made on these pictures. These are not copyrighted. The author (and the other photo takers) only ask to be give proper recognition. 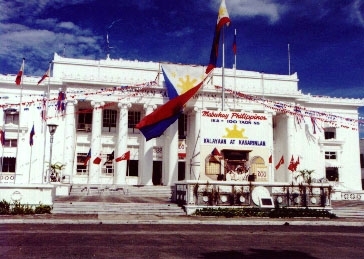 The Leyte Capitol building in Tacloban City proudly displaying the Centennial colors. 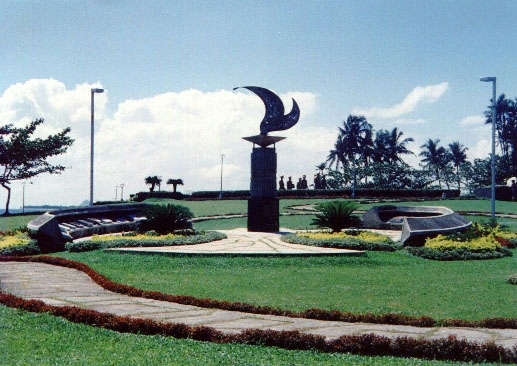 If you don't know these statues then you're not from here. 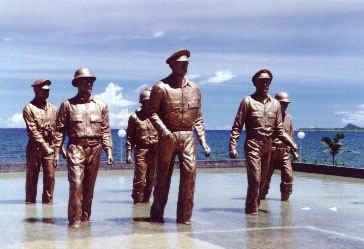 Larger than life bronze statues of McArthur and his staff landing in Palo, Leyte. 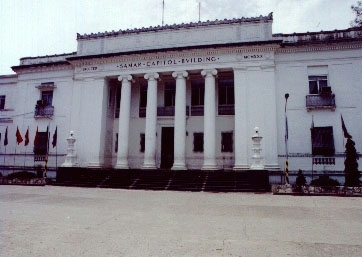 The Samar Capitol taken at about the same time as that above. No centennial celebrations in Samar? 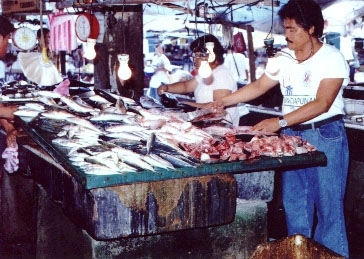 Despite problems with resource management, the seas of Leyte and Samar remain bountiful as the wet markets show. 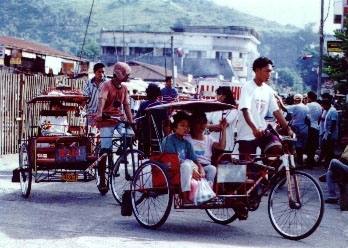 The ubiquitous "potpot" or pedicab. 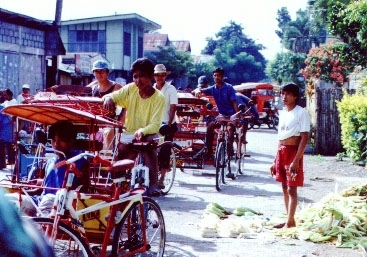 Chances are you'll be riding one of these when you visit the islands. Another shot of the "potpots." 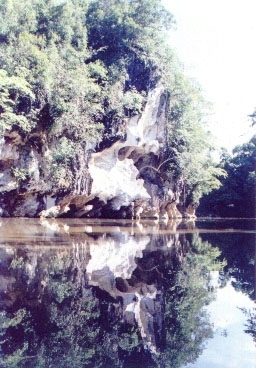 One of the magnificent rock islets of Marabut, south of Samar island. 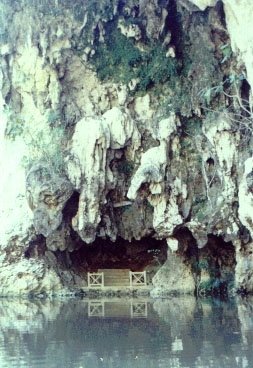 The entrance to the Sohoton Caves, one of the best sites to visit in the region. One of the lavishly adorned houses of Palo, Leyte during their annual Christmas festival.